A campaign needs updating? Follow the short steps below! Login into your MyWifi account on the platform. Click on the Campaigns section. 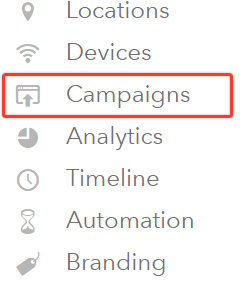 Find the campaign that you wish to edit then click on the blue Edit icon. The campaign details will be displayed. Edit the details on each tab (Branding, Login, Thank You, Redirect, Ads and Advanced) that you wish to change. Once done, click the Save button. A 🖖 salute you for updating a campaign!